10 or more boxes for $17.99 each! Liberty Ammunition ammunition use our patented high performance, leadfree ammunition created by using proprietary blended metals. This revolutionary self defense ammunition delivers extended range, beyond the normal 10_15 meters. These rounds give you three times the terminal effects with a dramatic reduction in felt recoil allowing for quicker follow up shots on target. The Civil Defense .40 S&W delivers a high performance, lead free 60 grain projectile at velocities greater than 2000 FPS and over 500 FPE kinetic energy. The .40 S&W Liberty Civil-Defense delivers a 60 grain projectile with increased ballistic accuracy and penetration vs. traditional .40 S&W self defense ammunition. When your life is on the line, every shot counts. The Civil Defense, high performance Lead-Free, ammunition in a .40 S&W Civil-Defense rounds. Our Liberty Civil-Defense handgun ammunition reaches velocities greater than 2000 feet per second, with over 500 FPE kinetic energy, and reduced felt recoil better for follow up shots. At 25 meters, Civil Defense achieves less than 2 inches dispersion with 12 inches of penetration. The unparalleled stopping power and increased fragmentation generates significant results in terminal effects. 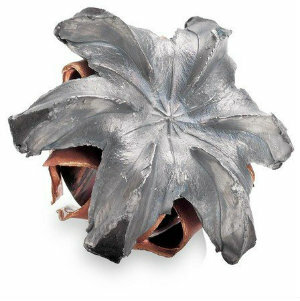 Liberty's unique patented designs and performance characteristics, coupled with sophisticated manufacturing techniques and quality control enable the company to achieve dramatically improved ammunition.